Andrew W.K., the singer who has spent his career imploring you to party all the time, all the time, also seems to be a total animal lover. Not a huge surprise consider his general life view. In his column for the Village Voice this week, Andrew W.K. writes an emotional testament to the powerful connection he had with his childhood dog, Tavish, and what it was like to lose him. I had grown up with him as a member of the family and never really imagined a time when he wouldn't be there... He was getting ready to die. That crushed me. The day my parents took him to the vet to be put to sleep was actually a beautiful summer day, exactly the kind of day that Tavish loved. We would like to play outside with sticks, or go hunting for tennis balls on a country road by our house. Tavish's death was the first time Andrew W.K. was faced with death and with his dog's passing, he came to realize Tavish was "as much a member of our family as I was." A good dog is the closest thing to a miracle angel from God that I can think of. Dogs are the ultimate role models. They are selfless and show unconditional love. They contain within them a genuinely psychic intuition, and a tireless cheerful energy. Dogs are geniuses of loving kindness. Their best feature: an unparalleled ability to bring out the best in us. 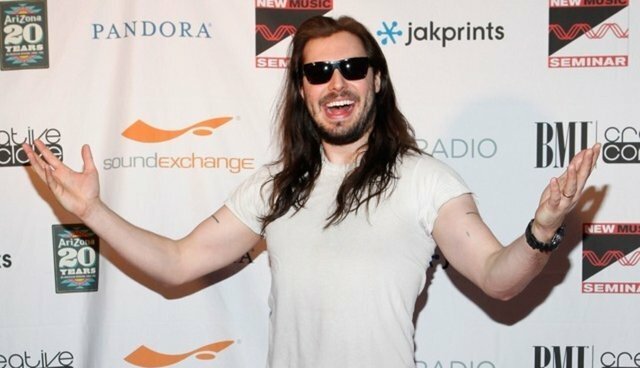 Read the whole awesome essay here, and for more on partying, general life coaching and loving dogs, follow @AndrewWK.